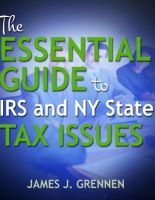 If you choose us to represent you as your IRS tax consultant, you can rest easy knowing that you have a highly qualified and experienced team of U.S. Department of the Treasury Enrolled Agents and Certified Tax Resolution Specialists working round the clock to solve your problems, and negotiate the lowest possible tax debt settlement with the IRS or the State. Our process page completely breaks down how we work, and highlights the efforts we put into understanding each and every client. We start off with a detailed interview to analyse your potential for an IRS settlement, and then work closely with you to understand your specific problem. We then craft a highly specialised solution, which is typically a combination of several of our services. It can filing back tax returns, and we’ve got you covered on other fronts. From our extensive analysis, we can find out if you qualify for special terms, an Offer in Compromise or reduction in interest or penalty. We ensure that our repayment plan exactly suits your tax liability and your financial background, for the most optimal resolution. The majority of our fees are flat rate since we know exactly how to deal with most IRS problems and how much work is involved. We will only charge hourly fees in situations where a reliable estimate of the work involved cannot be given in advance such as in the area of bookkeeping. Roughly one third to one half of our fee will be due in advance. The balance can be paid off in equal instalments over two to six months. Our letter of engagement clearly mentions the range of our fees and other related terms.